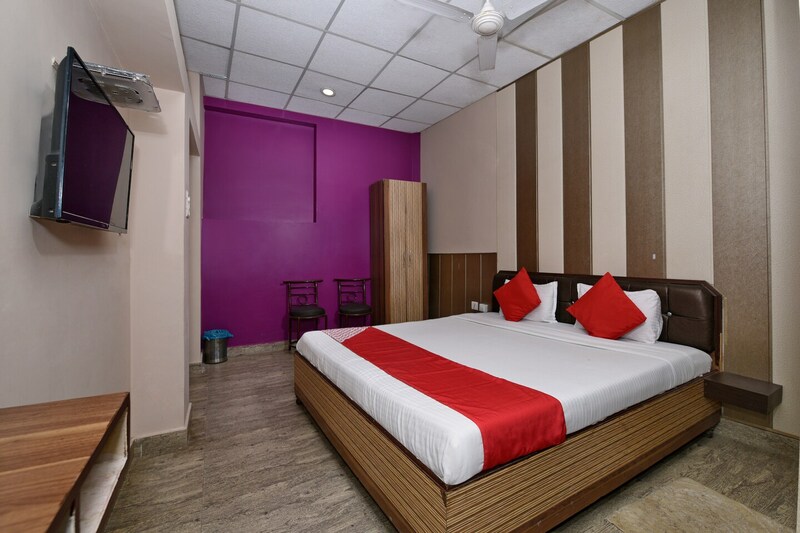 Located in the heart of Varanasi, OYO 3519 Hotel Garden Inn promises a great experience to the guests at affordable rates. The well trained and friendly staff of OYO maintains the property and ensures your stay is smooth. All our rooms are well furnished and equipped with AC, TV, Complimentary Breakfast and a lot more. Take a tour of the Varanasi and explore key attractions like Dashashwamedh Ghat, Shri Kashi Vishwanath Temple and Panchganga Ghat. State Bank of India ATM, Canara Bank ATM and ICICI Bank ATM close to the hotel ensures you are never short on cash.